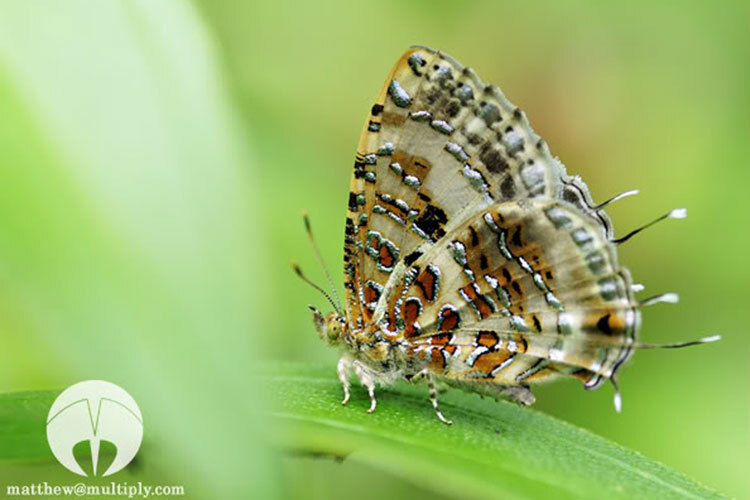 It was on a hot humid Saturday when ButterflyCircle members Nelson Ong and CK Chng were out on their usual weekend butterfly-shooting outing when Nelson spotted something that he had never encountered before. The small butterfly was perched on a leaf in a forested area near a mangrove habitat and allowed him to squeeze off a couple of shots before Chng took his turn at it. But the small skittish butterfly took off rapidly and made its escape amongst the lush vegetation. 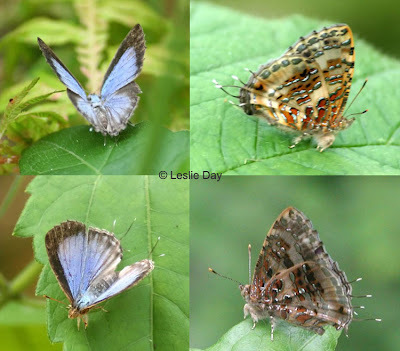 When they posted their day's trophies at the ButterflyCircle Forums, it was found that they had shot a rare Lycaenid that had not been seen for quite some time. Listed on the early authors' checklists, this species, the Gray Tinsel (Catapaecilma major emas) had not been reliably identified until Nelson's excellent shot of this species recently at the end of May 2010. We now officially record the existence of the Gray Tinsel as a re-discovery and add it to the Singapore Checklist as species #295. 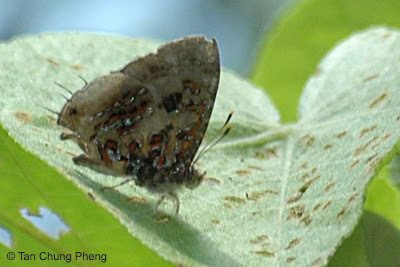 Congratulations to Nelson and Chng for confirming the existence of this elusive species that was first recorded by ButterflyCircle member Tan Chung Pheng on the offshore island of Pulau Ubin in Oct 2004! The record shot was not totally clear enough to establish the identity of the species and we had put it as Catapaecilma sp., until the day that a better shot became available. 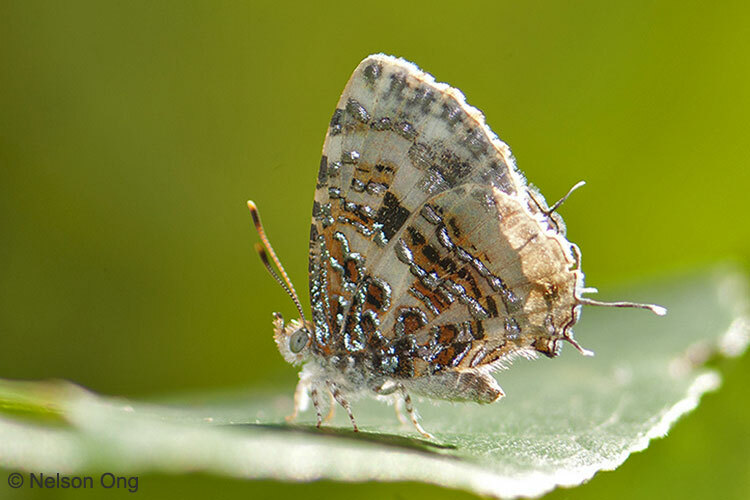 The Gray Tinsel is described as an uncommon butterfly with a wingspan of 32-40mm. 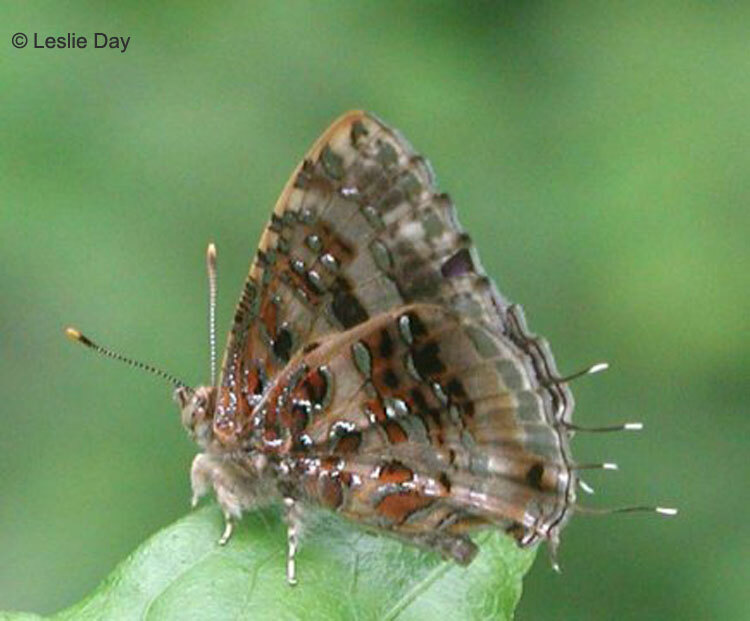 The butterflies are said to frequent secondary growth and lowland forests. The upperside of the male of the Gray Tinsel is purple blue above with a narrow submarginal border on both wings. The female is a light shining blue with broader black submarginal borders. 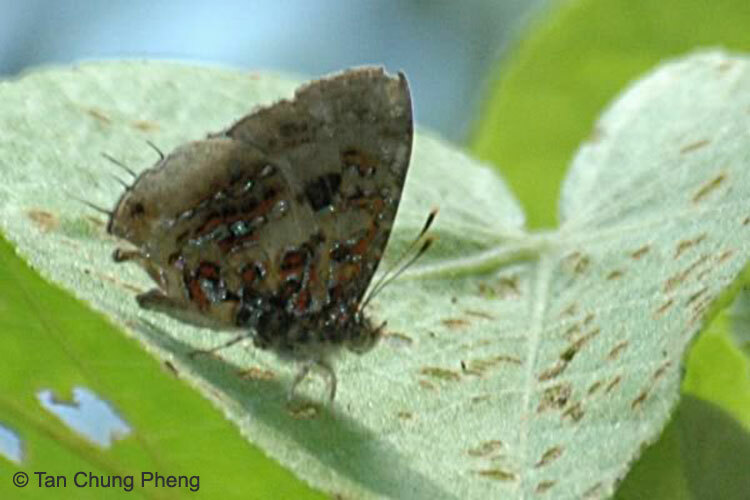 The underside is pale buff brown with reddish brown striae infilled with silver markings broken up into separate rather irregular spots. Both sexes have three pairs of filamentous tails of which the middle pair is the longest. The legs of the the butterfly are remarkably hairy. Caterpillars of this species have been recorded on the host plant of Terminalia paniculata. The butterfly has a rapid flight but has been observed to return to favourite perches with partially opened wings at certain times of the day. The species is said to be more common on the Thai island of Koh Samui, where our northern ButterflyCircle "correspondent", Leslie Day resides. The shots below are courtesy of Les, LC Goh and Matthew, who encountered the Gray Tinsel on their outings at Koh Samui. So the Singapore Butterfly Checklist slowly, but surely inches towards the 300 mark with the addition of the Gray Tinsel as species #295, and we look forward to more discoveries and re-discoveries in the coming months.